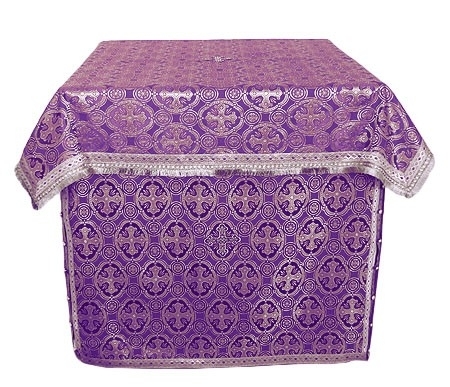 Orthodox Church liturgical Holy table vestments (violet-silver) by Istok Church Supplies Corp. 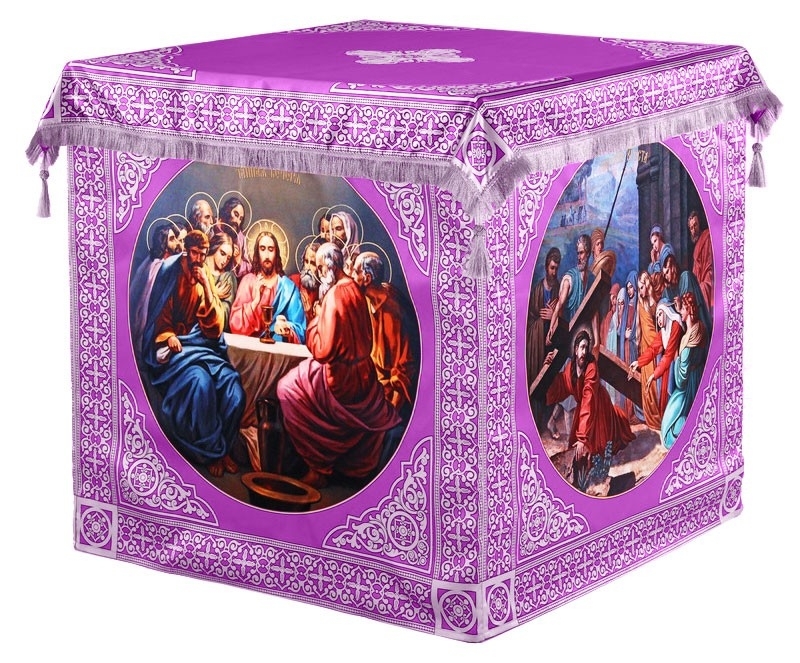 Undoubtedly, the Holy Table is looked upon with particular awe, so why not make a striking impression with one of Istok Church Supplies’ superb collection of violet-silver Holy Table vestments? Without a grand outer covering, the Holy Table appears incomplete. A brightly colored and richly decorated vestment for the Holy Table is a requisite for carrying out Divine Liturgy. 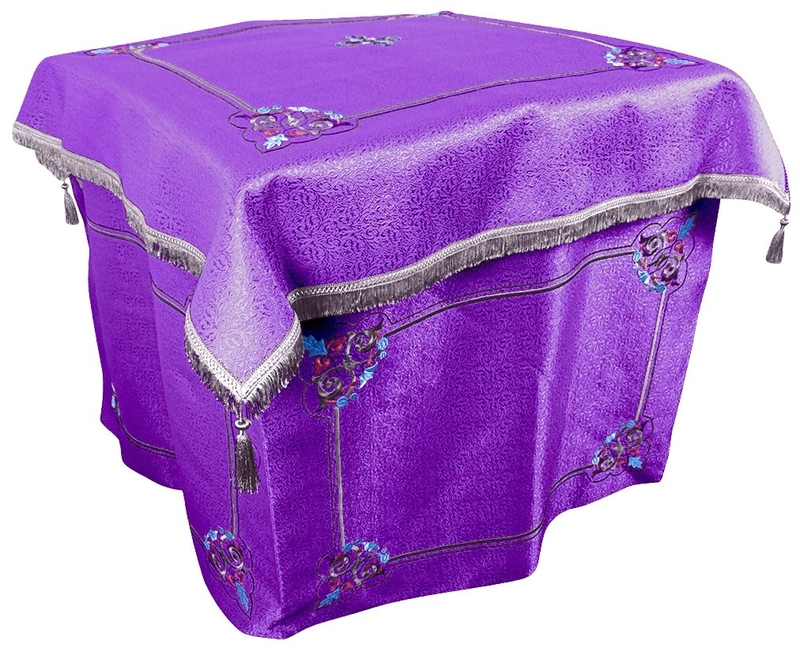 Now you can carry forward centuries of tradition and symbolism with one of our splendid violet-silver Holy Table vestments. These articles are available in three material choices – rayon brocade, metallic brocade and finely embroidered fabric. The brocades we offer are eye-catching and prove their value for many years. While selecting Holy Table covers made form brocade materials, customers have the option to add premium decoration and natural velvet inserts. 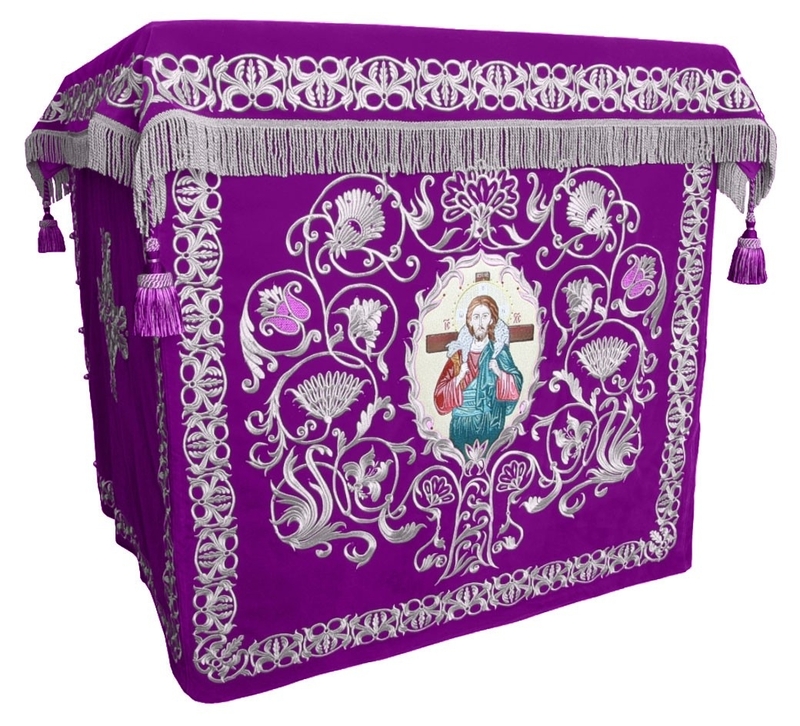 We offer Holy Table vestments featuring traditional Orthodox Christian church embroidery. Some of these coverings draw from centuries’ old embroidery designs and are a testament to the high quality workmanship and peerless talent of our experienced embroiderers. We use top quality threads to ensure a lustrous sheen and rich appearance. At the same time, we pay attention to stitching details to ensure they last a long time. The addition of premium adornments such as tassels enhances their beauty. Each product comes with a mention of its size. Customers have the choice to purchase a Holy Table vestment as it is or provide us with details of the required size in the Notes section during order placement. Customers can also request for a different fabric belonging to the same fabric class mentioned for the product. With our reasonable prices, hassle-free browsing and easy order placement process, we aim to deliver a superior online shopping experience to customers worldwide. We offer multiple secure payment options and worldwide shipping services – why go anywhere else for an exclusive violet-silver Holy Table vestment?